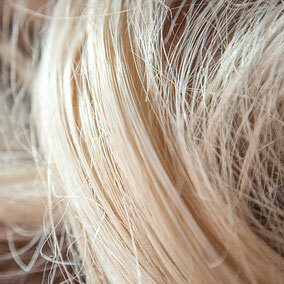 Abaca threads are natural material produced by slitting fibers vertically and twisting. The string holding in your hand is the abaca threads coming from Malinao village, the Philippines, to make JIU bags. Malinao is located approximately one hour by airplane from Manila. 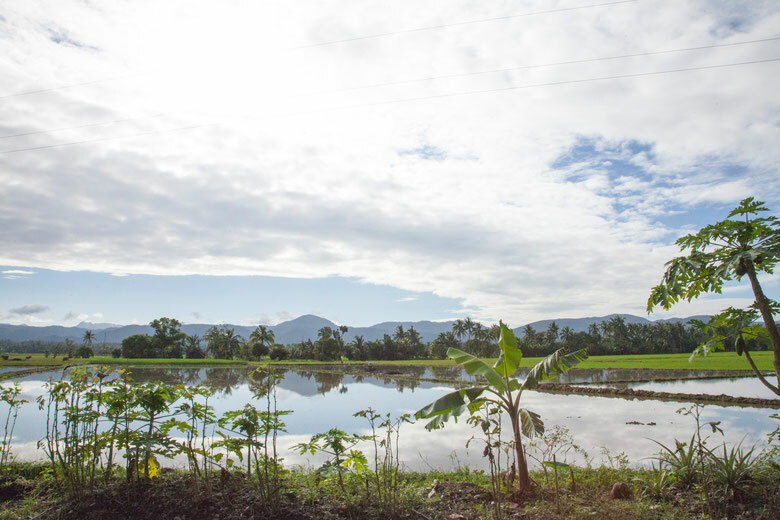 Taking advantages of the abundant nature surrounded by woods, the village is suited for growing abaca plants, which require slops and abundant water. The villagers have been taking good care of them since long. Abaca is a plant, which has banana-like leaves and is grown well in the central area of the Philippines. Especially the abaca fibers in Malinao preserve clear whiteness and feature elegant luster. 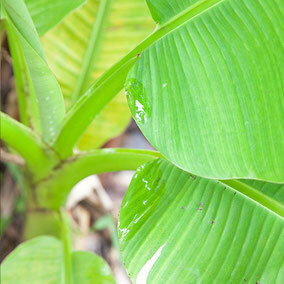 It is called as Japanese Banana (Musa liukiuensis), and its fibers are light and silky-smooth. 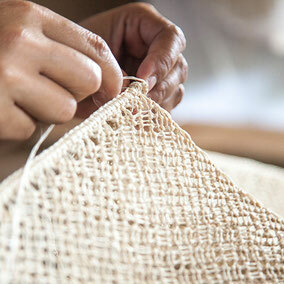 The more you use handcraft products made of abaca, the more familiar they becomes to your hand. Abaca is the natural material loved by people both in Japan and in the Philippines for a long time. 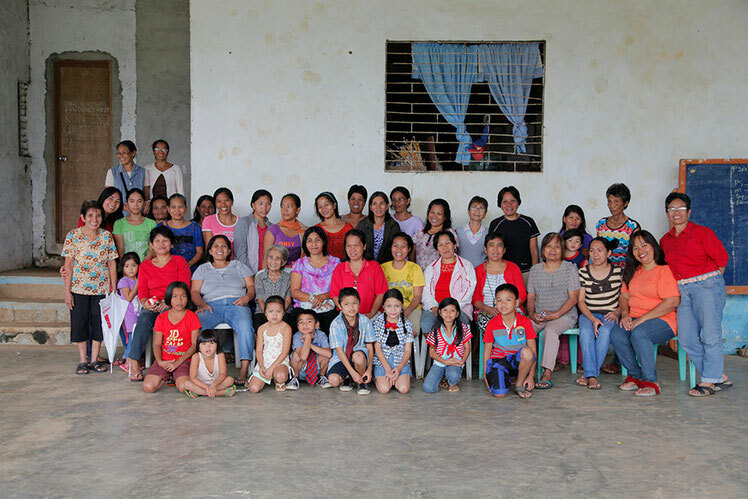 Cropping from agricultural works is limited in Malinao village, so the villagers take good care of abaca plants and have been earning a living by knotting daily items with abaca fibers. The delicate and beautiful technique called “macramé knotting” has been practiced while raising kids, progressed together with kids, and inherited from generation to generation.